If you're anything like me, you want to try and find something cool and original for Halloween! I get that this might not always be possible but when you find an idea that you really like, one of the best but often worst parts of putting together the costume is finding each little item that you need. This is where I come in! I am here to help cut out the middle man and get you the looks that you may want to create/recreate this Halloween season! Today's post is centred around The Day of the Dead and whilst this sounds like a spooky concept, the holiday that is celebrated on the first couple of days of November actually features some pretty amazing costumes and makeup that is truly a work of art! The sentiment behind The Day of the Dead is predominantly a happy one as it allows individuals to remember lost loved ones and honour their deaths. Admittedly it sounds slightly morbid and not something I would often talk about on my blog but seeing as both this holiday and Halloween are so close together in dates and are often mixed together, I thought that I would search the online pages of Pretty Little Thing to bring you a beautiful Day of the Dead inspired look just in time to celebrate this day, if you so wish, as well as Halloween! 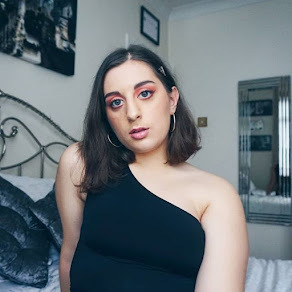 Simple but very Spanish/Mexican oriented and the fact that it is all black, allows the makeup to do the talking so that your completed look is able to stand out a whole lot more! From Left: 1. Black Lace Ruffle Detail Maxi Dress, 2. Multi Colour Gem Hoop Earrings, 3. 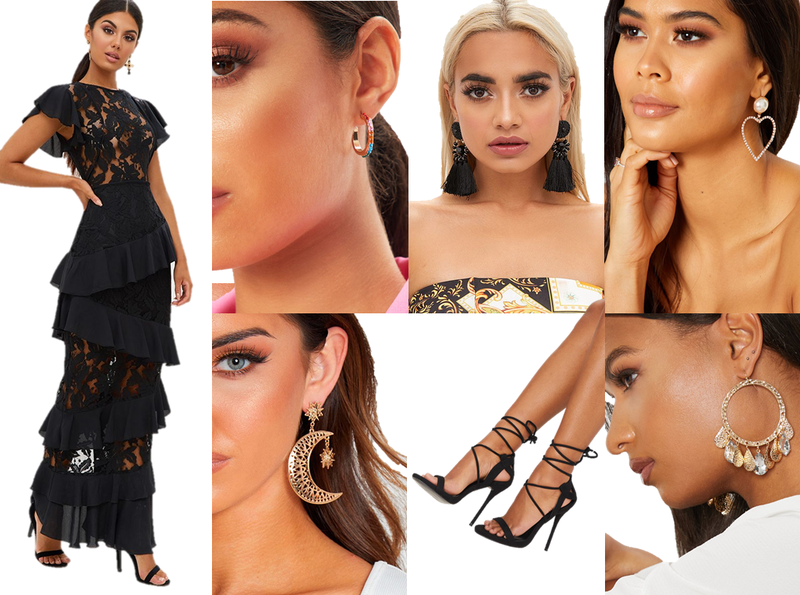 Black Acrylic Bead Tassel Earrings, 4. Gold Diamante Heart Drops, 5. Gold Moon Star Drop Earrings, 6. Serenna Black Lace Up Sandals, 7. Gold Coin Diamante Hoop Earrings *Sold Out* (Similar). This is where the fun takes place! The Day of the Dead allows you to be creative and bold with your choices, so have a look at the options below and get painting or bejewelling depending on your preference! From Top Left: 1. Day Of The Dead Halloween Stickers, 2. The Gypsy Shrine Diamond Skull, 3. Halloween Day Of The Dead Palette Makeup, 4. The Gypsy Shrine Iridescent Aura Face Jewel, 5. The Gypsy Shrine Candy Skull Face Jewels, 6. The Gypsy Shrine Teeth Jaw Jewels. So beautiful and so creative! 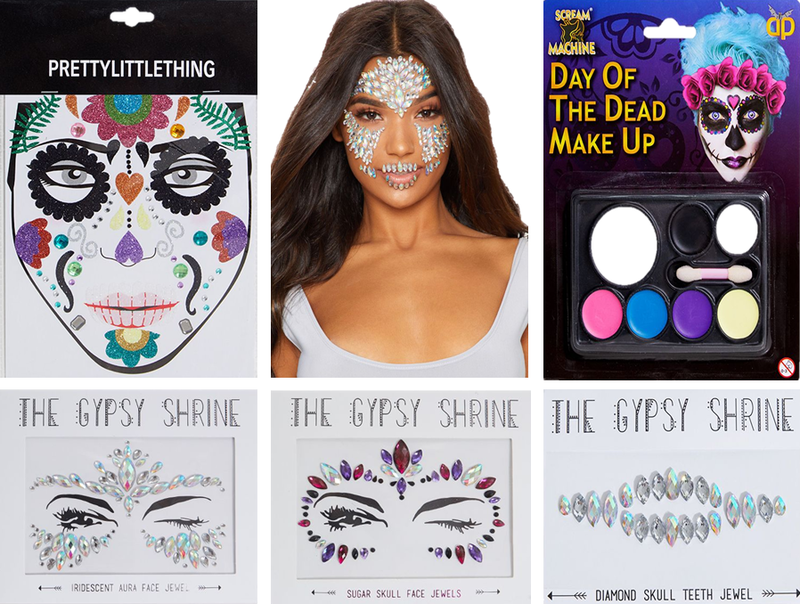 I really hope that some of you take a chance and see what Day of the Dead look you're able to create using these stunning pieces from Pretty Little Thing! 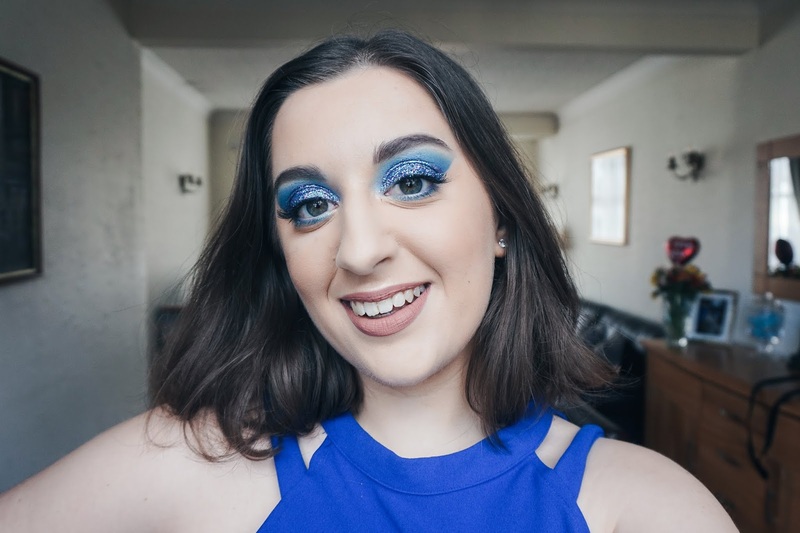 I know that it's definitely not your most conventional Halloween look but at least it will be more meaningful than a zombie or vampire costume - let me know what you think in the comment section down below!